Laptop refreshes are coming thick and fast this week, and it's not restricted to those with static hardware configurations from big-name brands. System retailers are also catching up to Intel's new 8th Generation CPU releases, offering configurable notebooks tailored to suit your needs without the heavy corporate branding, ostentatious aesthetics or unbalanced specifications. 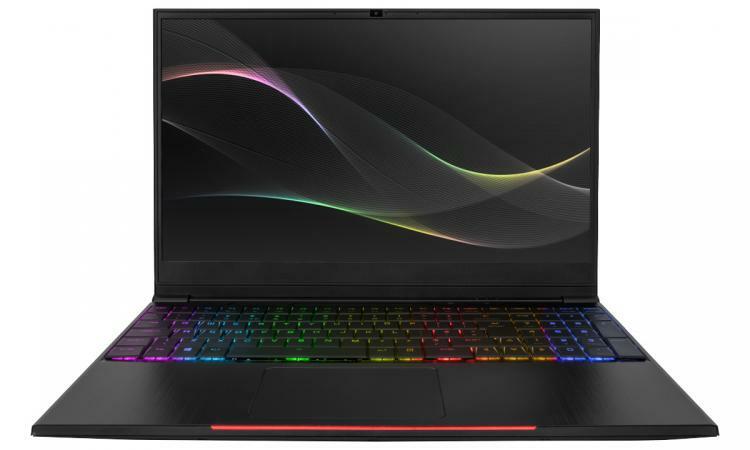 One such retailer is PCSpecialist.co.uk, who will soon be introducing the Recoil II range of gaming laptops that have style, performance and personalised specifications. PC Specialist's Recoil II is their latest gaming notebook range that's designed for gaming with portability at a premium. It's been introduced to coincide with the release of Intel's new 8th generation (Coffee Lake) hexacore Core i7-8750H CPU, offering new levels of multi-core performance on mobile platforms without compromising single-core heft. Of course, one value of going to a system integrator such as PC Specialist is the plethora of configurations available. Within the Recoil II's fixed chassis there are a selection of graphics, DRAM and high-speed storage options to suit your specific requirements, with other options catered to by an array of chassis ranges. With that in mind, let's get down to it. The Recoil II range is equipped with Intel's new Core i7-8750H as standard, a 6-core CPU that supports hyperthreading (hence a total of 12 independent threads) for some astonishing out-the-box performance. The CPU is clocked at a 2.6GHz base frequency and accelerates to 4.3GHz under Turbo Mode during appropriate workloads, with games notably eating up that single-threaded boost. But that's not all you need for some quality gaming experiences. In terms of graphics hardware, the Recoil II is comes with the choice of either an NVIDIA GTX 1050 Ti 4GB or GTX 1060 6GB. Yes, both have the full-fat memory option rather than the less-ideal 2GB and 3GB variants, indicating just how seriously PCSpecialist takes gaming with high image quality. Recoil II's DRAM options are flexible, supporting up to 32GB DDR4 RAM clocked at 2400MHz. Around 16GB is a sweet spot today, so it's more than welcome that the laptop can be bought in just such a configuration. Last (but not least) of the performance hardware options comes storage. 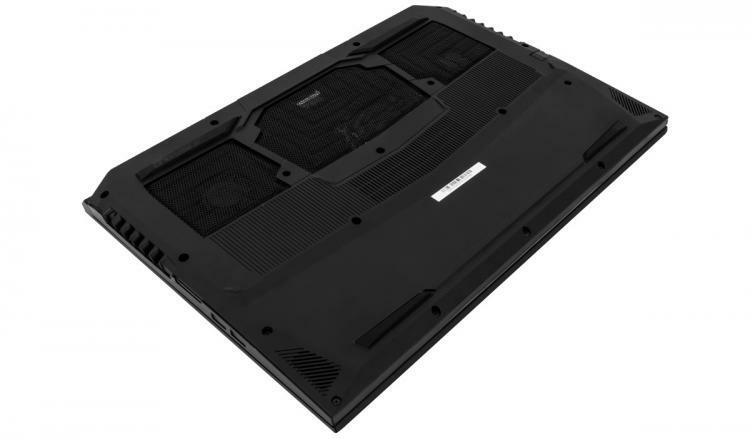 Despite its slim chassis the Recoil II can support dual-M.2 NVMe drives for excellent speed, and a 7mm SATA HDD/SSD/Hybrid drive for more capacious needs. General system smoothness thrives on solid state storage, but you can certainly give it additional oomph in the form of benchmark-busting PCIe-based drives if necessary. Who wants a laptop that's a hulking brute of a system? Well, someone probably does, but they may want to look elsewhere than the Recoil II. The range utilises a metallic chassic with brushed aluminium exterior finish, which to be honest is all the discerning gamer really needs. The chassis is exceptionally thin at just 19mm tall; pretty great given a standard 15" frame and high-performance components. A 15.6" FHD 1080p screen is surrounded by a thin and unobtrusive bezel that integrates an HD Webcam for Skype or, in a pinch, streaming. In essence, the series is designed so that as little as possible of the effective real-estate is wasted. Keyboard - Make It Mechanical! Although increasingly popular as a desktop gaming weapon of choice, the mechanical keyboard is still a relative rarity in notebooks. That's a shame because there's no easy way to swap out a notebook keyboard when the switches wear, something that happens with distressing regularity when using membrane designs. Good news then: PCSpecialist integrate a mechanical keyboard into every Recoil II. 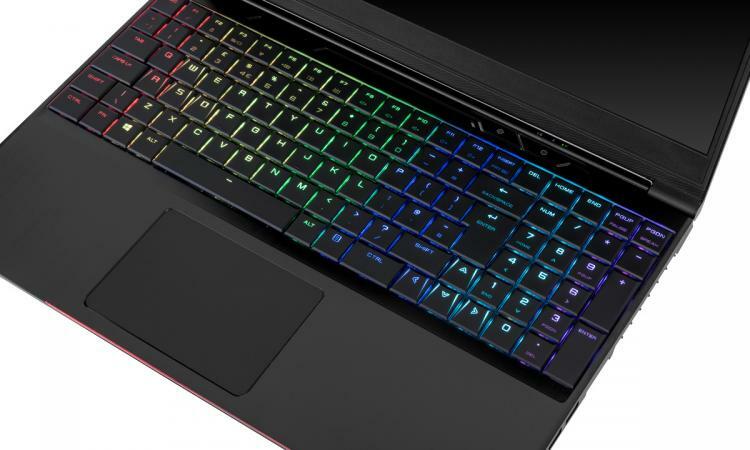 As well as mechanical switches, the Recoil II's keyboard utilises per-key RGB LED backlighting that's configurable through software. In addition to static lighting modes it can also be set up for one of a number of dynamic effects, applied under easily switchable profiles. Control software can also adjust the lighting of the front lightbar, the one concession to RGB lighting made on the Recoil II's exterior. One other benefit of mechanical keyboards is anti-ghosting and n-key rollover. Don't underestimate the value of ensuring that every keypress counts, especially in MOBA and MMO gameplay where input combinations can be complex and exceptionally rapid. 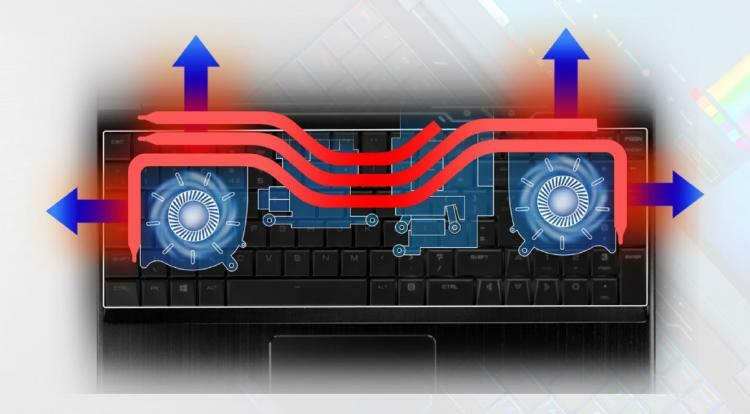 High performance hardware is for nothing if the cooling system isn't up to the task. The Recoil II uses a dual-90mm fan system with four vents, coupled to an array of heatpipes that speed the heat away from the toasty components. At first glance that might seem like overkill, yet it's been designed not only to cool well but also remain quiet under load. 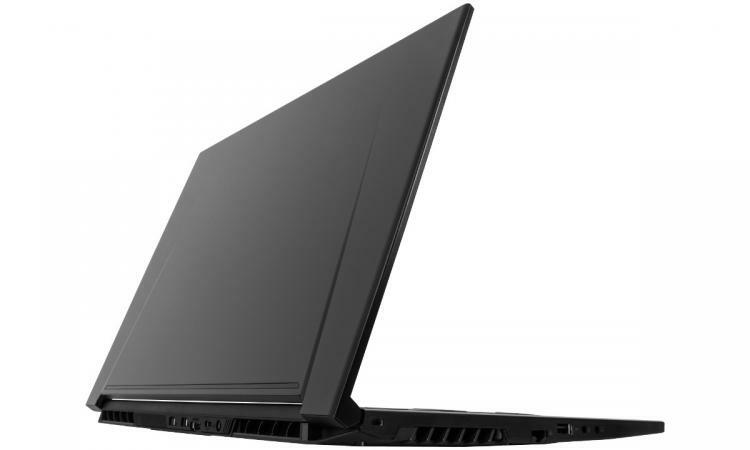 Without a battery any laptop is just a PC in a suitcase, so what does the Recoil II have to offer? In this instance it's a 4-cell Lithium Polymer battery that will power the system for up to 4 hours, depending on the use it's being put to. Not bad at all given the chassis space restrictions. The Recoil II also features a plethora of connectivity options including two USB 3.1 ports, one USB Type-C, HDMI, mini-DisplayPort and a 2-in-one card reader. No, scratch that, two mini-DisplayPorts. That's quite the collection that allows the laptop to easily expand into the desktop space if multi-screen, multi-peripheral productivity/gaming is on the cards. Recoil II's availability is scheduled for late April, with shipping starting in late April/early May. Prices start from approximately £859.99 inc. V.A.T. Configure your Recoil II soon at pcspecialist.co.uk/notebooks/recoil-ii-15, or check out a comprehensive range of other laptops, desktops and AIO systems at https://www.pcspecialist.co.uk/.